The Mercedes-Benz brand has a long-standing history of refinement, luxury, safety, and innovation in terms of comfort and entertainment. Mercedes-Benz of Plano tries to embody that history in our everyday operations and long-term goals alike, and we have since we started in the business in 1972. Most importantly, we’re dedicated to providing the Mercedes-Benz experience to each and every customer who chooses to shop with us, including those from Frisco, Dallas, Carrollton, the Colony, and Allen. As a family-owned business, our staff sets out to take care of yours. That might mean taking the time to understand your needs and desires as a driver, or getting to know what you’ll be using your Mercedes-Benz for. Either way, our team will guide you through your new Mercedes-Benz options, as well as our pre-owned car selection, which consists of both certified pre-owned Mercedes-Benz vehicles for like-new quality and some models priced under $20,000 to get you luxury at an affordable price. Our finance department will then work with you to investigate a lease or loan you’re comfortable with, and you can even apply for financing online to expedite the process at our dealership. And we’ll be there for you for the life of you’re vehicle, as our service center is prepared to take care of any and all repair and maintenance needs you bring our way. We even use authentic Mercedes-Benz parts to ensure your vehicle continues to run as it should. 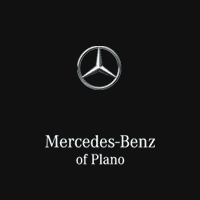 Mercedes-Benz of Plano does things differently, but don’t take our word for it. We’d love to have you visit the dealership to learn more for yourself, or reach out if you have any questions!